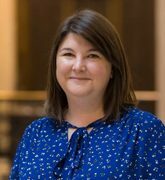 Emma has had a strong and varied career in business with over 14 years in commercial and sales leadership roles in the corporate world mainly in consumer goods. She spent 8 years at global drinks giant, Diageo, and more recently worked with the guys at Bristol’s Pieminister heading up sales. She has also founded her own sales capability consultancy, Emma Thorn Consultancy, to really share her passion for developing teams and individuals with other businesses. Leadership: which hat to wear today? Is your tech business ready for an incubator?